Over the snout wear to help stop pulling on the lead. This Classic style halter (classic because it connects to the lead under the dog’s jaw) has been the Halter of choice for trainers for many years. 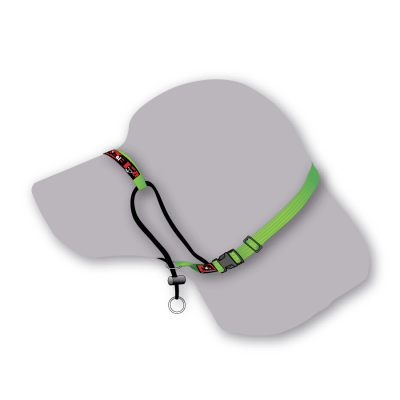 The dynamic design allows the Halter to move as the dog moves, leaving the Nose Bridge strap to sit comfortably in the same position, this means it doesn’t tend to ride up close to the dog’s eyes and the dog is more content while wearing the Halter. Adjust the Neck Strap to fit (a tight, snug fit high on the neck is best). Take the Halter off again. Slide the Nose Strap over the dog’s muzzle (reward the dog with a little treat to ease any concerns). Pull down on the Lead Ring (this adjusts the Training Halter to fit the dog’s face). Attach a lead, and your dog is ready to go. Reward your dog, when introducing it to the Halter and throughout the first week, particularly when you first fit the Halter and as your dog works well on lead.